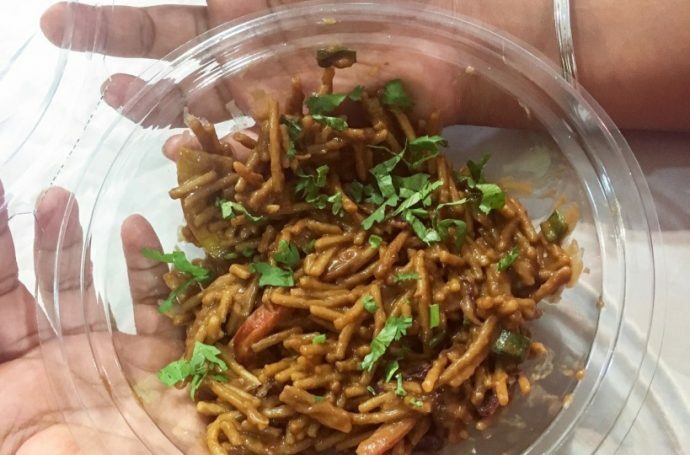 While eating out in Mumbai and Pune, you should try the Eatigo app. Eatigo provides discounts on restaurants and it is for real! 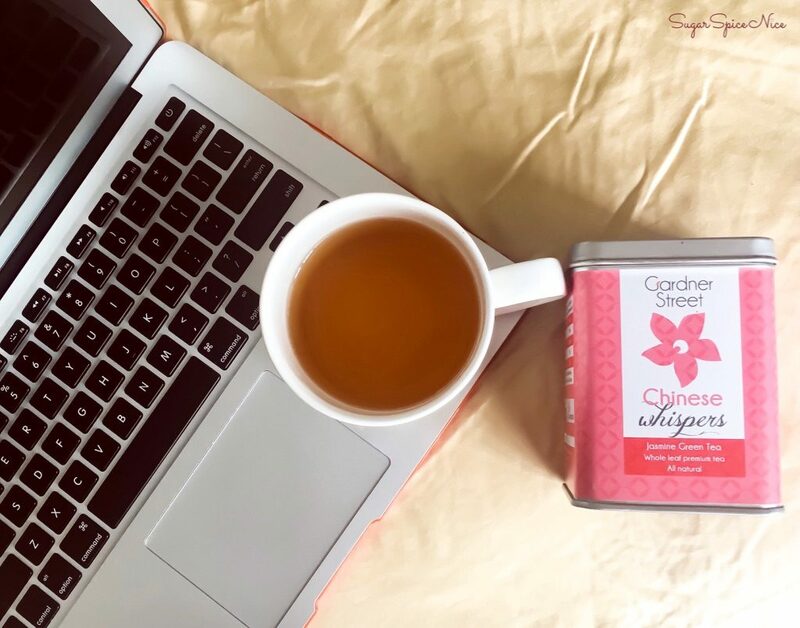 Watch the video below where I’m sharing my experience of using this app. Eatigo started out in Thailand and is now operative in many countries in Asia with the same concept. All one needs to do is download the Eatigo App and book a table at any of the given restaurants. And they have a dynamic discount system which differs as per time of the day and also per the restaurant itself. 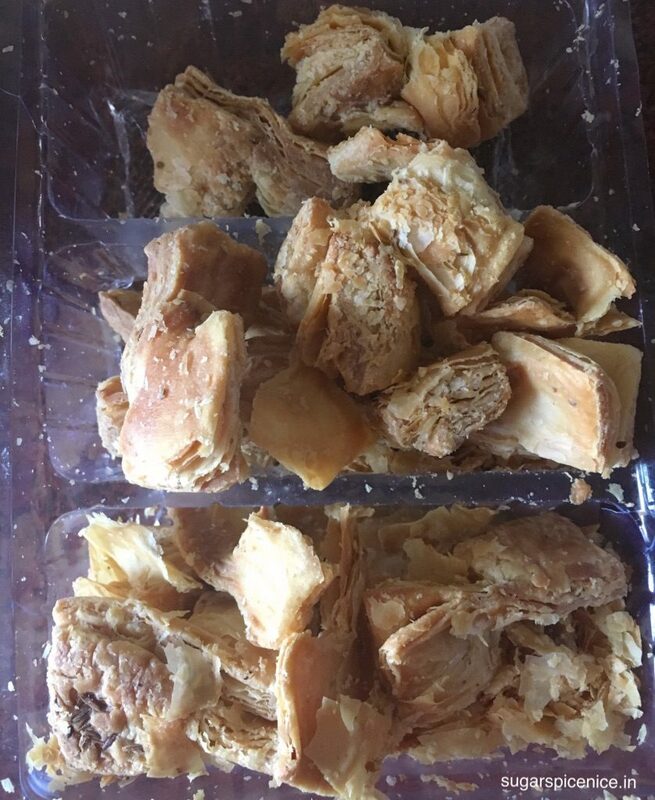 In India, Eatigo can be used in Mumbai and Pune currently. Both these cities are famous for their food and one can definitely find interesting restaurant listings for them on the app. Download the app here to check all restaurants that are on discount now. Restaurant discounts are quite an upcoming category and a lot of players are a part of it. 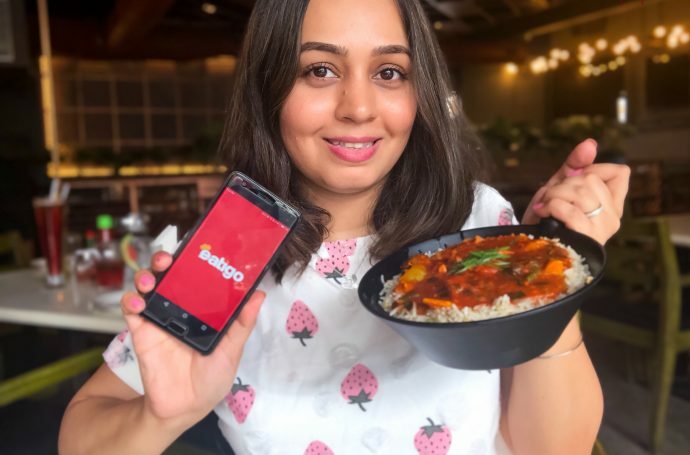 Zomato has its Gold membership which provides a buy 1 get 1 free offer on certain restaurants and dishes. Nearbuy and Little App also provide discounts on buffets, brunches across many cities. Dineout too helps with table booking and discounts. As a consumer, it’s best to check these apps before deciding a restaurant night simply because there is a high probability that a lot of them would be offering discounts via these sites and apps. In fact, I have a few restaurants on Eatigo that I’m very excited to visit and of course, not pay full price! Talking about discounts, this mall in Mumbai provides discounts on certain food brands in their food court section. Check out this video to know more! You can watch some of my latest videos too. Check them out below! You can subscribe to my Youtube channel here and stay tuned for more videos. You can also follow me on my social media. Every 90s Indian Kids will relate to this video. 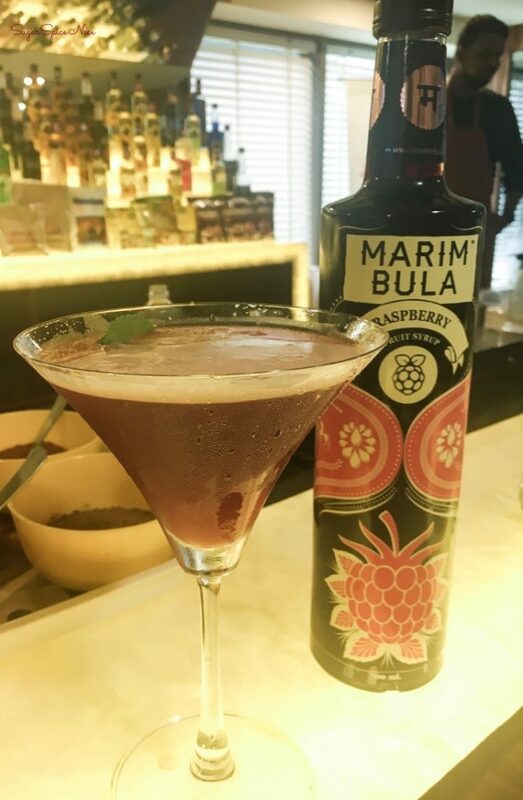 Bourbon, Hajmola, ParleG, Gola and lots more. 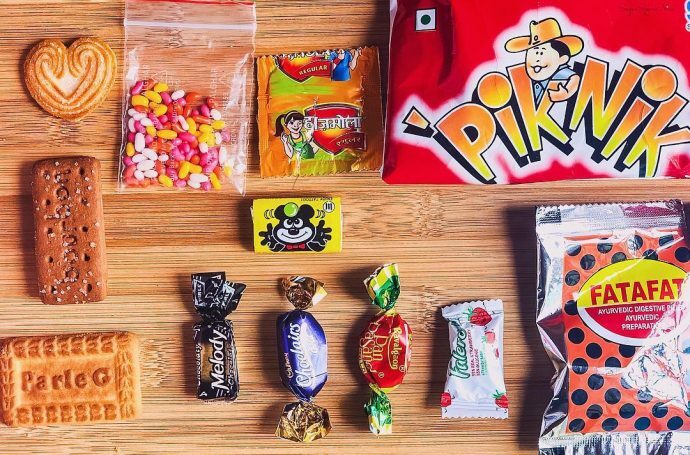 Watch this video and relive all these memories that are synonymous for any 90s Indian Kid! Whether its digging into a packet of colorful saunf or enjoying a Gola at Chowpatty, I definitely get the feels whenever I think about these things from my childhood. Growing up in India in the 90s was so much fun. 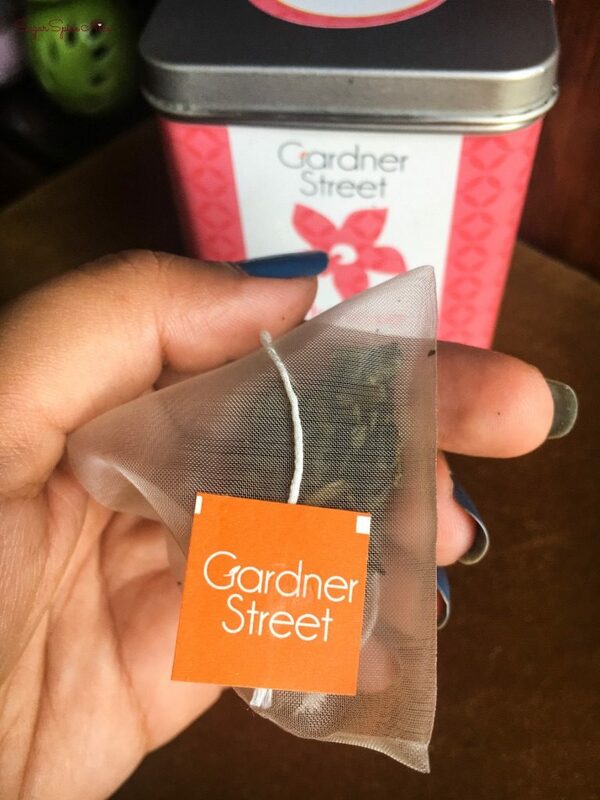 As a 90s Indian kid, you would have a lot of local brands and the western influence and consumerism was still very nascent. 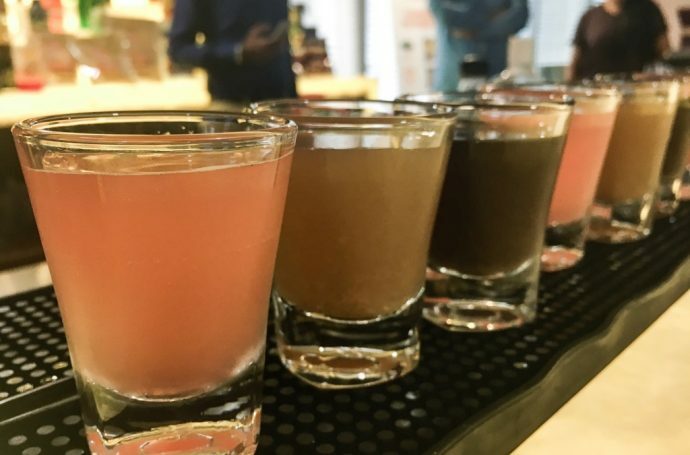 As such chocolates, drinks and activities were very local or ‘desi’ in nature. And that only turned out to be a good thing as its something that is not only a part of our childhood, but also makes it unique by adding that Indian element. Some of my favorite things growing up were very local and also very inexpensive. 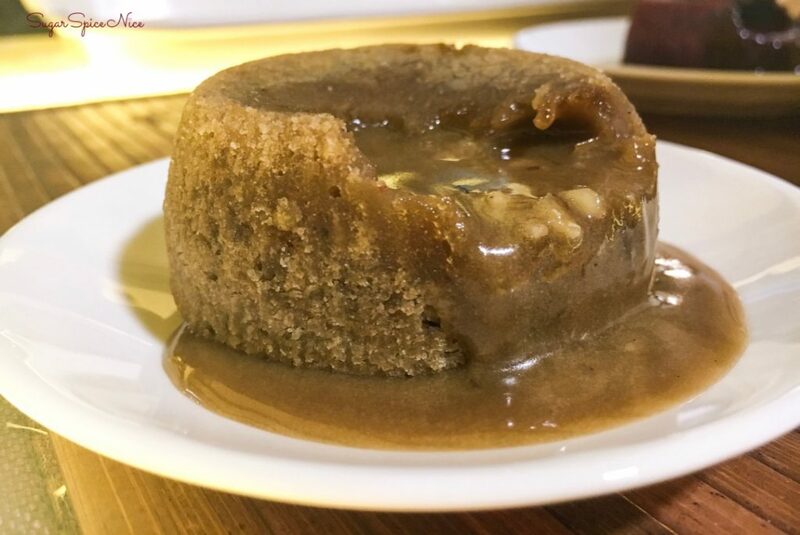 Things like Fatafat, Hajmola, Saunf – barley cost a rupee or lesser then but we still reminisce about them! It was also easier when all brands were not selling everything – like Britannia Bourbon was the original and there was just one best glucose biscuit – ParleG. I also enjoyed a lot of candy while I was growing up and Pan Pasand will hold a special place in my heart. It is the best pan flavored candy yet! An evening out too just felt so simple back then. Playing by the sea, building sand castles and ending that evening with some Kalakhatta gola meant the ideal Sunday. Even now when I am at Chowpatty and eating that gola, I feel the same sense of satisfaction. As they say, live in the moment but cherish the memories. That’s kind of how I felt while filming this video. I hope you enjoyed this and relived a bit of your childhood. Do share it with your friends and family. Watch more videos from me. 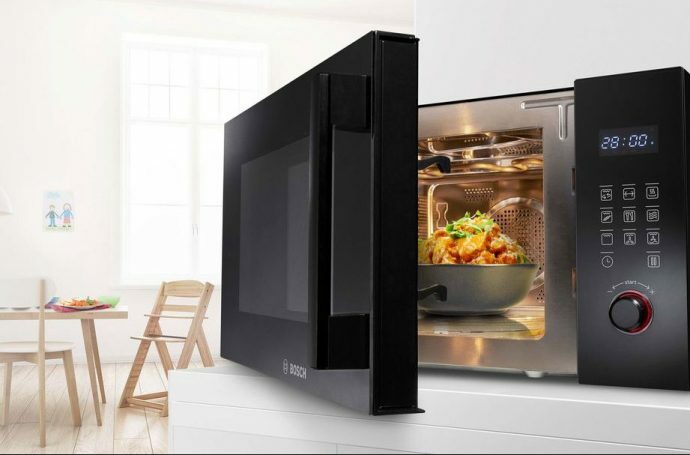 I recently got my hands on the new Bosch convection microwave oven and I have to admit, it simplifies microwave cooking to a whole new level. The new Bosch convection microwave oven comes in 2 size capacities – 32l and 23l. The one with the 32l capacity comes with a free Borosil starter kit. You can check it out here. The Bosch convection microwave oven is steel gray in color, has a protective glass covered door and also comes with a baking tray. 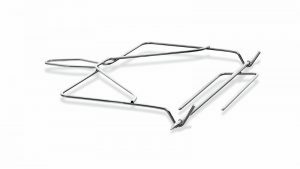 Among other attachments, it includes wire racks and even a rotisserie skewer kit. In terms of functions this is a full fledged microwave oven with convection; which means that it provides the best possible cooking for different kinds of food items. It also boasts of a fry lite function which uses minimal oil while making fries, wedges and the like. You can even enjoy your favorite kebabs and Tandoori items using the tandoor function. One thing that stood out for me while using this microwave was the ease of operation. It has multiple pre programmed settings for different food items so you can just select the dish you want to make and let it microwave as per the mentioned function. You can find all of these combinations in their instruction manual and they are specific to Indian food too. You can check out this video where I’m using the new Bosch convection microwave oven to cook 5 different types of dishes. Click here. For someone who is constantly on the go, microwave cooking is a good option. There are many days when I find myself pressed for time and unable to cook a meal. So putting something together in a single bowl and cooking it in the microwave at least ensures that I’m eating good home cooked food. As such, this microwave really simplifies that process with its easy recipe manual. However, even for eating something like grilled paneer or grilled vegetables, I have started relying on a microwave. 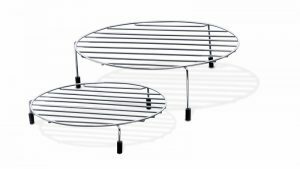 Also it becomes simpler if you have just 1 device as compared to a different oven and griller. Yes. 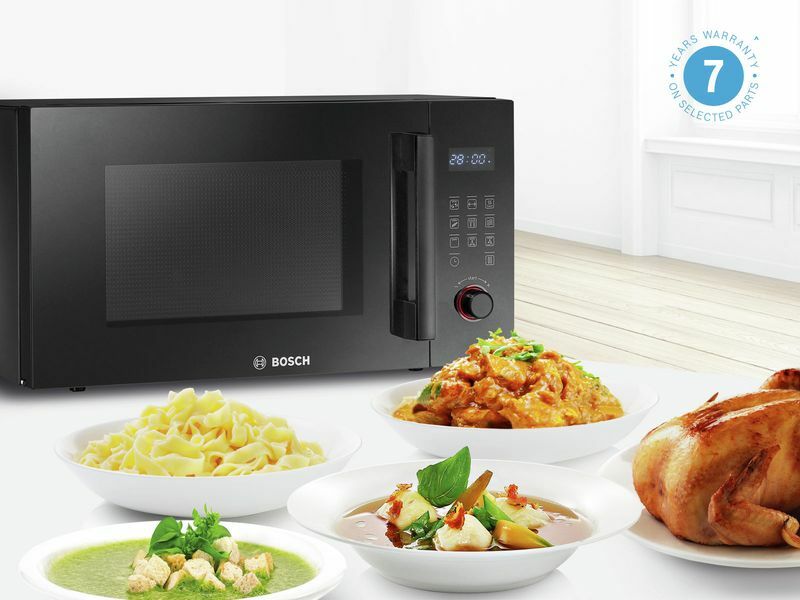 If you are looking to invest in a full on convection microwave oven with a whole bunch of features then definitely consider the Bosch convection microwave oven. Firstly the brand itself – Bosch is a name to reckon with in the electronics space. 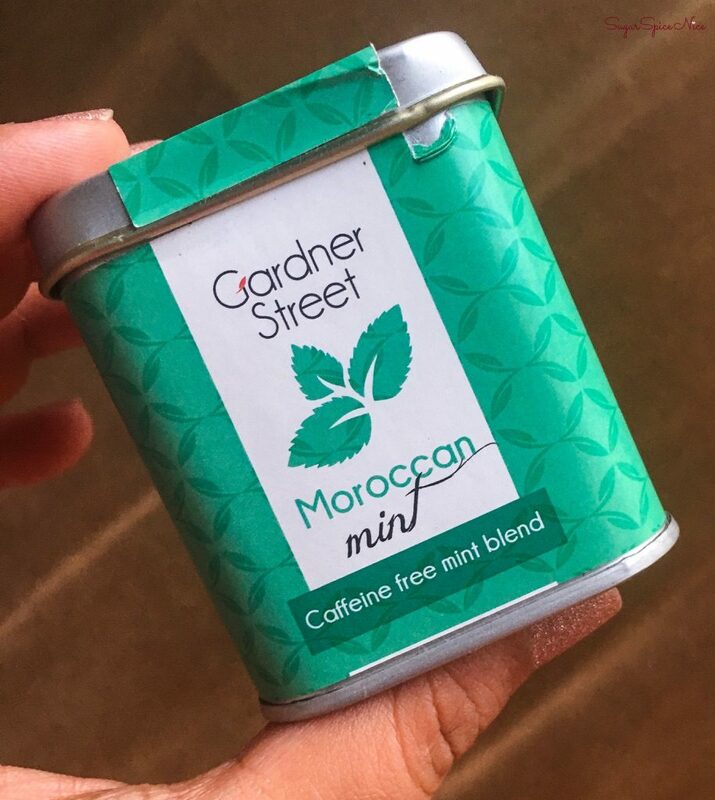 Secondly the features you get – you can literally go for days without having to cook gravies, rice, fries and so much more! You can choose from different auto-programmed dishes or even different power settings as per your convenience. I also love the steel gray color – it is something that can look good with most kitchen interiors. There’s no real installation – you plug and go! So it definitely makes life easier and would be a good choice while investing in a microwave. 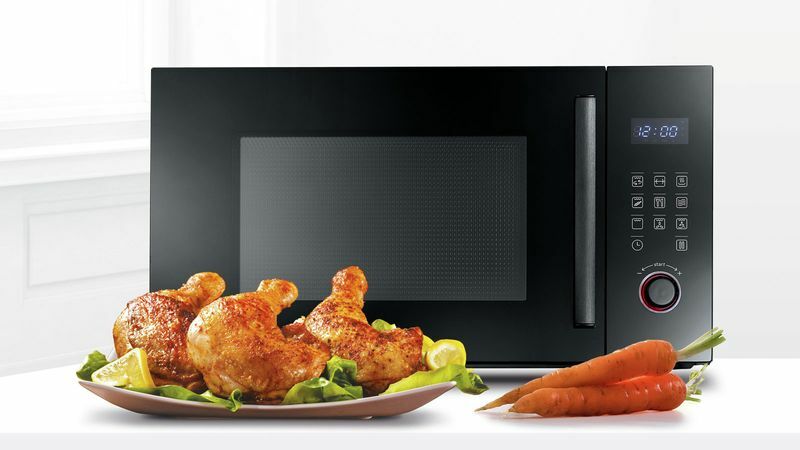 If you are keen on checking out this microwave for your home then click here. 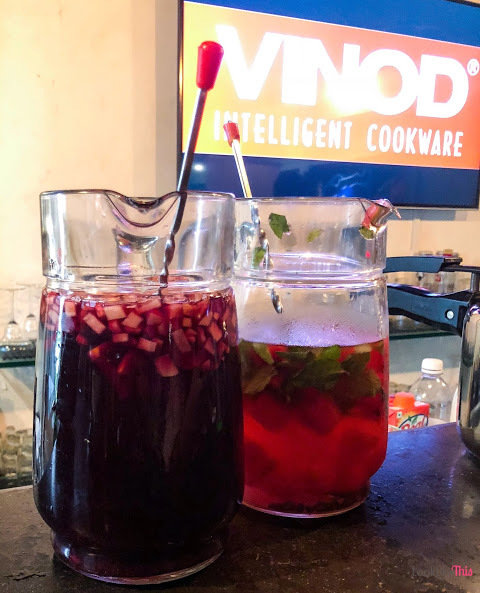 Recently the FBAI & VINOD Intelligent Cookware got a few bloggers together over a fun Sunday Brunch at Veranda, Bandra. 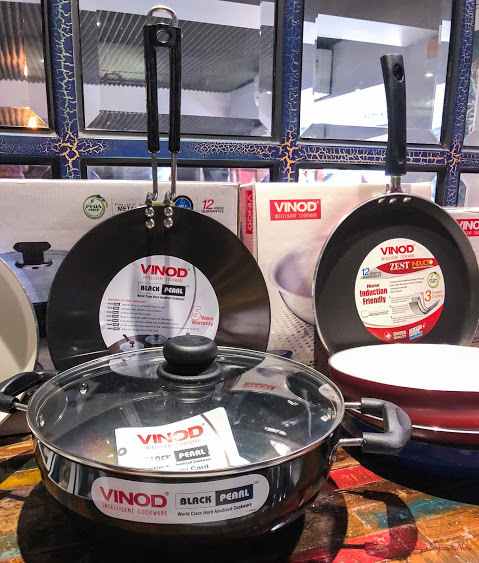 VINOD Intelligent Cookware has a new range and it aims to preserve the nutrition of any food item. So all the fitness and health enthusiasts, this ones for us! 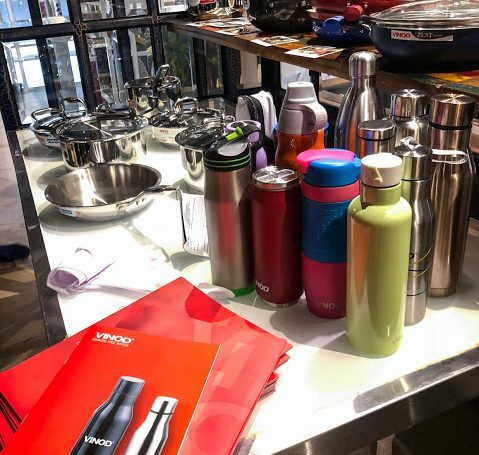 Right from bottles and sippers to literally in intuitive toaster, the new range by VINOD Intelligent Cookware has everything. 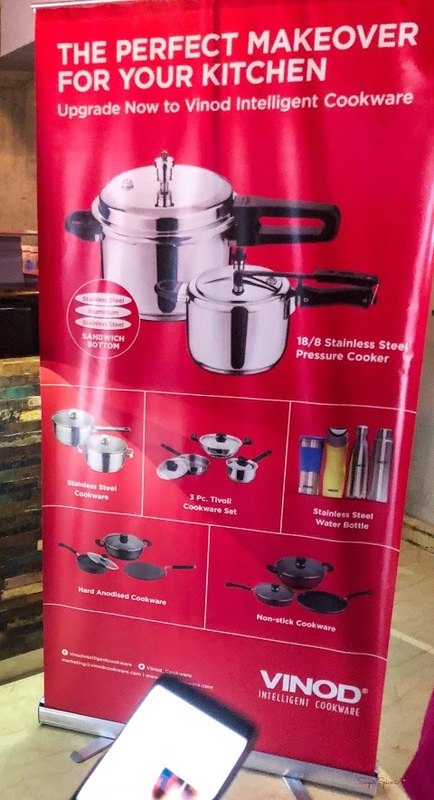 I got my hands on the Zest Induct Cookware by them and it’s brilliant! A 3 Layer non-stick coating. 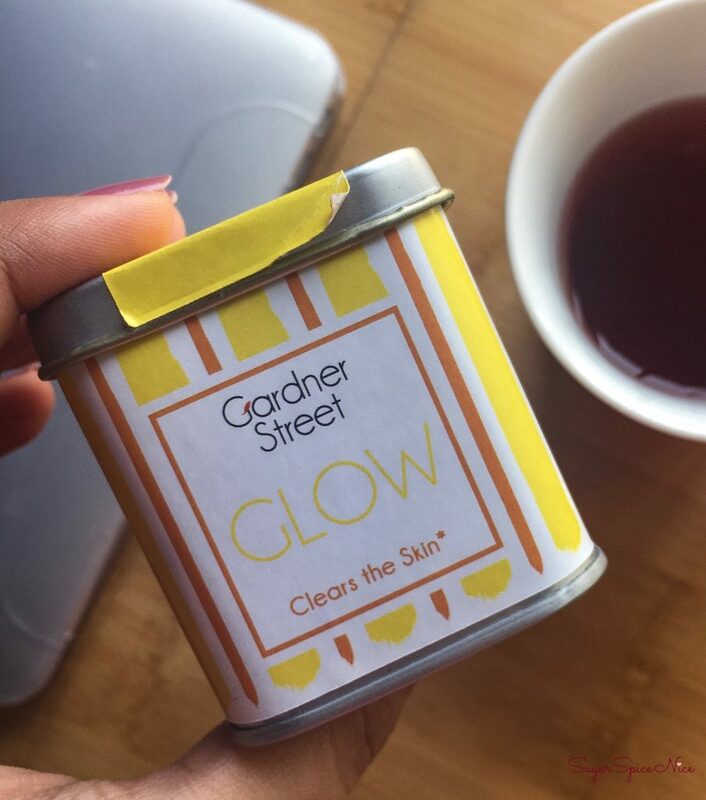 So no more worrying of the coating wearing off in no time! And this also means that you can use even lesser oil while cooking. 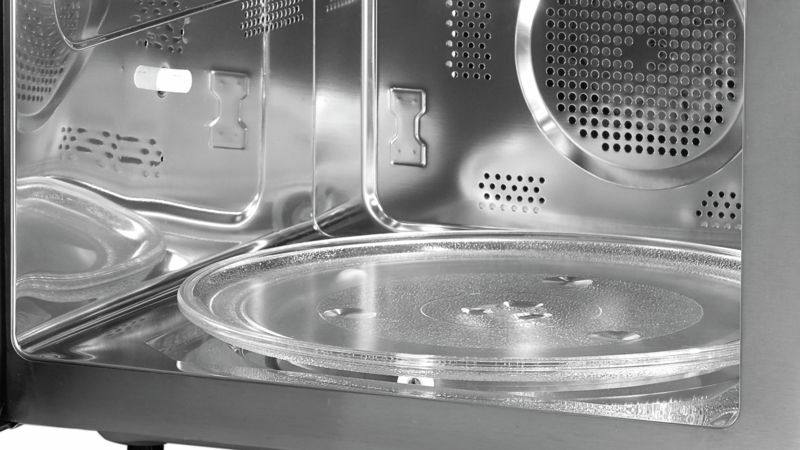 Extra aluminium to hold the ceramic coating and this also ensures that it uses less gas while cooking. It’s metal spoon friendly – so no more separate spatula needed. PFOA Free so no toxic fumes while you keep it on high flame. 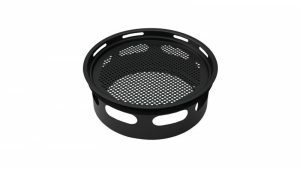 You can even use it on an induction stove. And a 12 month guarantee! That was all from me in this post. I hope it was helpful. Stay tuned for my next one. And watch some of my videos on Youtube. 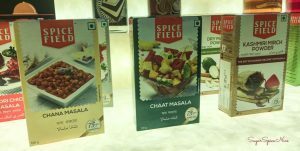 FoodServiceIndia is a company that literally brings together the complete meal experience. 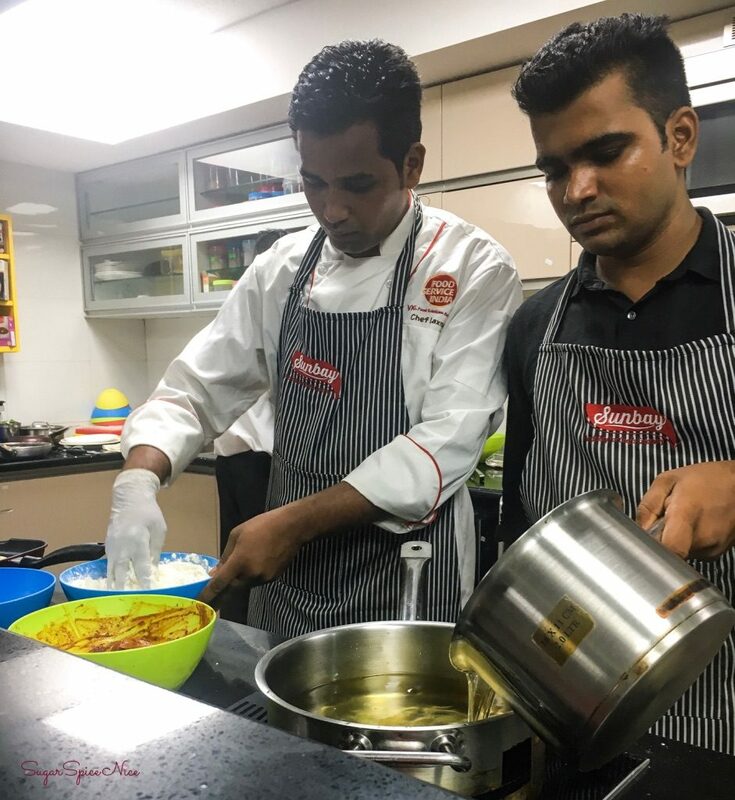 Right from seasonings to helping a restaurant develop recipes, FoodServiceIndia completes the whole loop. Many-a-times, as consumers, we forget the nitty gritties that go in making our restaurant dining experiences memorable. And that there are so many people that work behind the scenes to give us that experience. 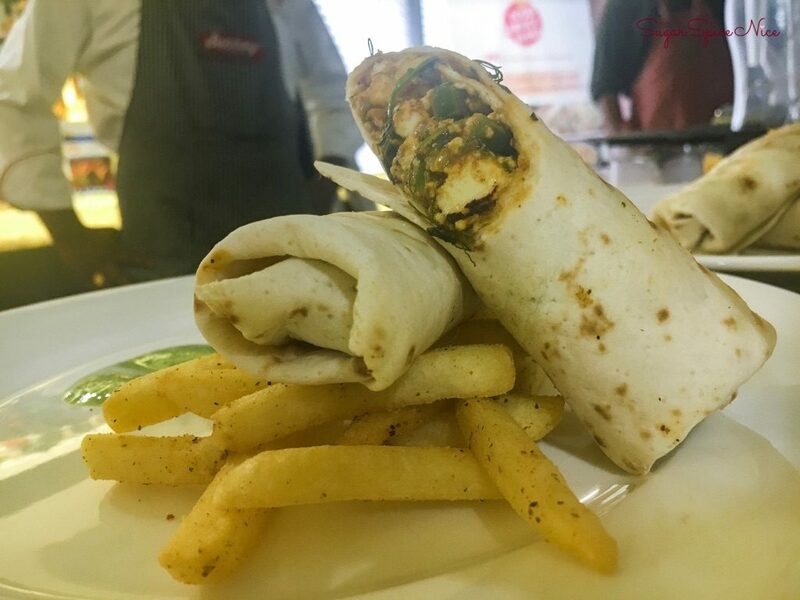 And that’s where FoodServiceIndia comes in – solutions in the form of products that can be used in restaurant kitchens and also a method of using them correctly. 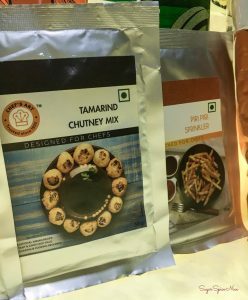 Not only does FoodServiceIndia provide the above mentioned solutions, they also demonstrate the best way to use these ingredients, develop recipes and provide complete training for implementing these. So as a restaurant, one gets a standardized recipe, with the right ingredients and also all the associated learning. For restaurants, the ultimate moment of truth is whether a consumer comes back or not. And this happens, only when a consumer is completely satisfied with the dining experience. And the meal itself, does play an important part in this. 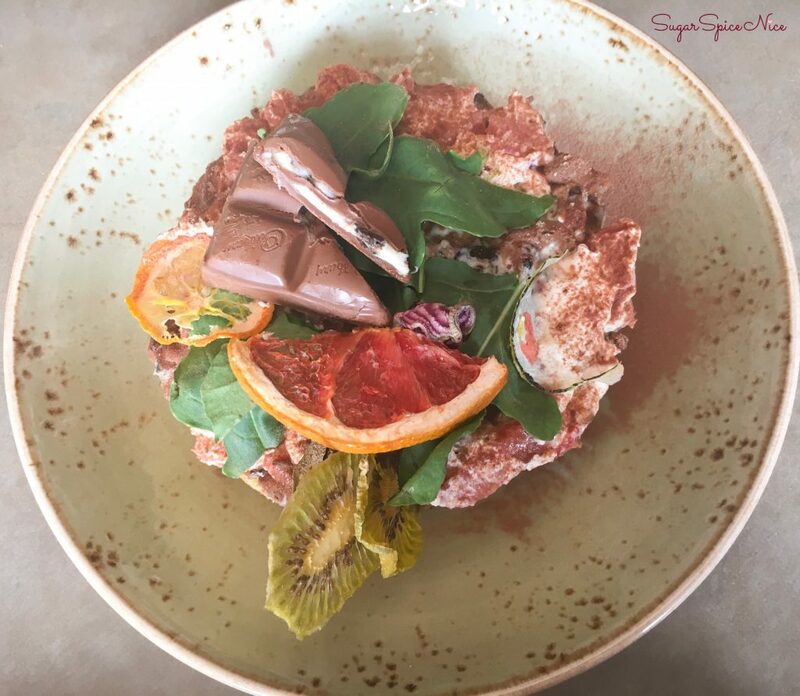 Primarily the taste of what one is having needs to be good; and while this is a subjective topic, restaurants need to find a way in which they can appeal to most possible taste buds with the best possible offerings. 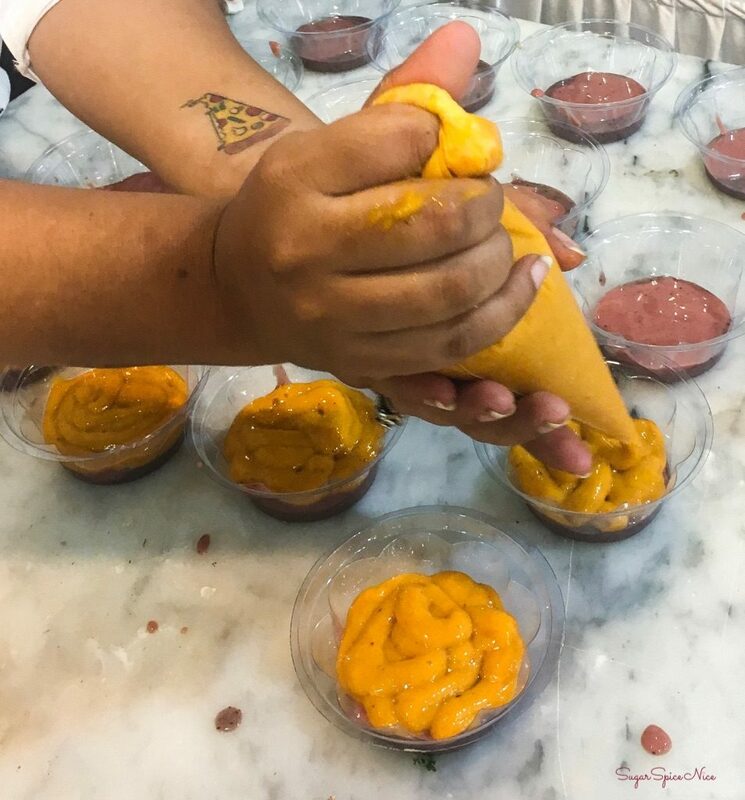 So things like ingredients, freshness and quality, recipe and the method of preparation are crucial. And FoodServiceIndia takes care of this part of the process. I can say this with confidence, because I did end up trying some of their dishes and they did turn out well. 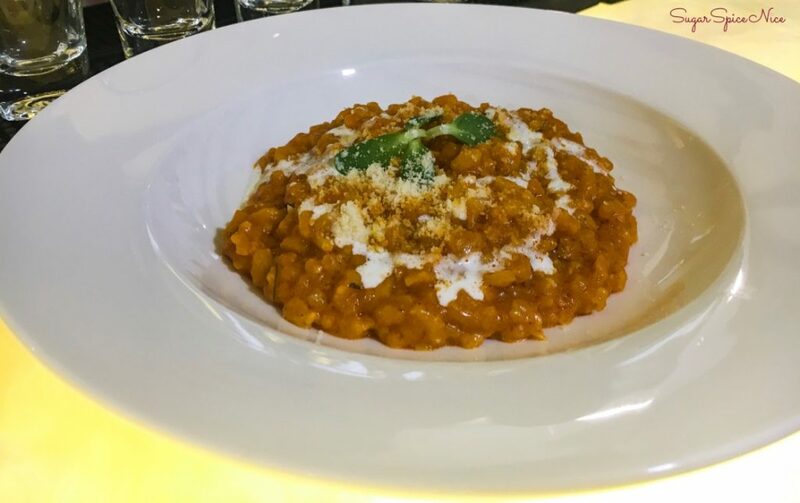 The Makhani Risotto for instance is being served as so many restaurants across the city and is already a big hit. 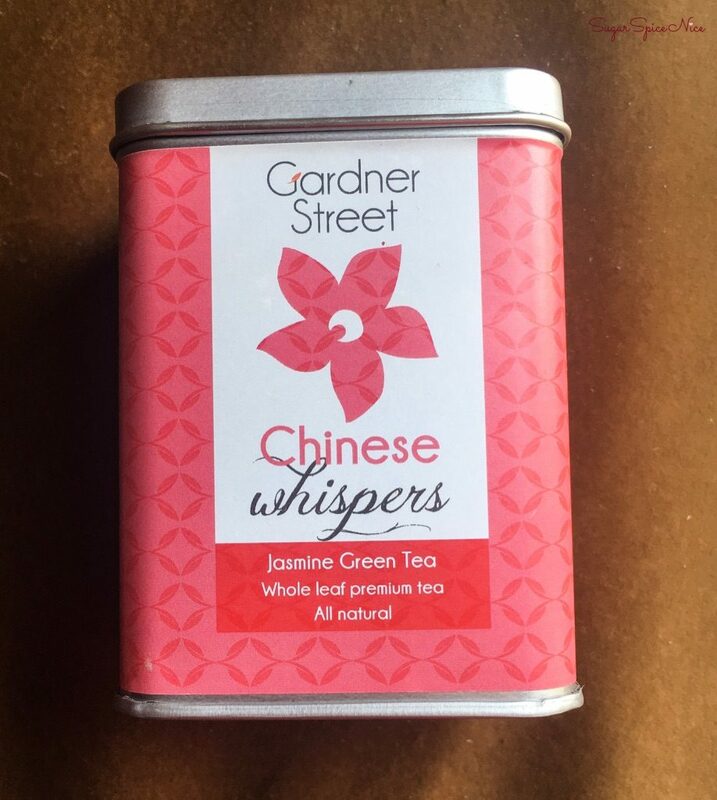 And for all the right reasons – amazing taste and the flavor doesn’t feel artificial at all. And this Kolkata style roll was definitely delicious; but the PiriPiri sprinkled fries are what got all my attention! I even tried their dessert premixes and these were really delicious. 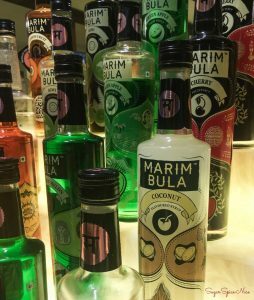 And I tried a whole array of mocktails prepared using different flavors of Marimbula. 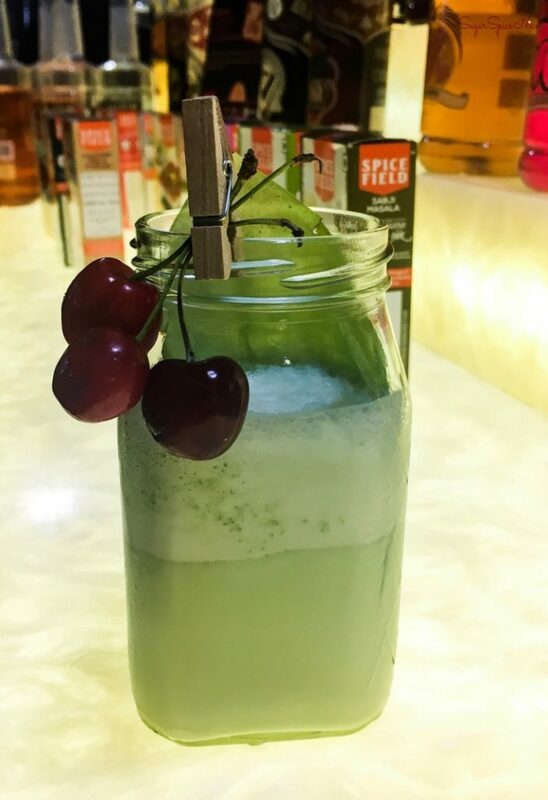 The Paan Shake is something I personally love and enjoy having outside and it was amazing to see that it is actually the Marimbula syrup that does all the magic. And in case you are interested in trying these out, you can find some of their syrups and seasoning online on Amazon. 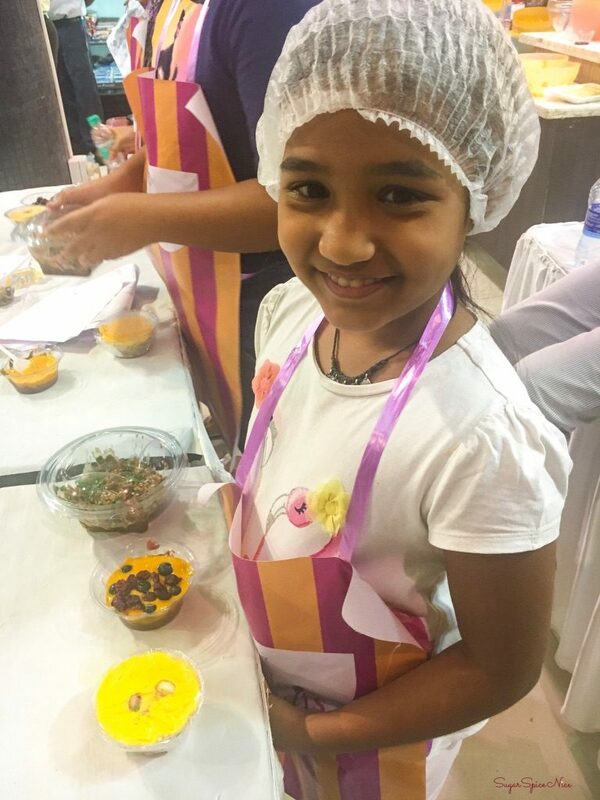 Godrej Nature’s Basket recently had a fun event where kids got to learn some really interesting recipes. 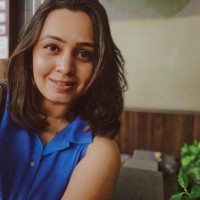 Amrita Kaur, who is known for her interesting healthy recipes was conducting this workshop at Godrej Nature’s Basket at Hill Road, Bandra – Mumbai. Godrej Nature’s Basket in Bandra has a nice spacious basement, which was turned into a workshop area. Kids were assigned their work stations and were taught some really interesting recipes. These included the Rainbow Nice Cream, a no-bake Mango Cheesecake Tart and a Rainbow Noodles Salad. All the kids were really excited and enthusiastic, and it was amazing to see that they wanted to learn all of this at such a young age. 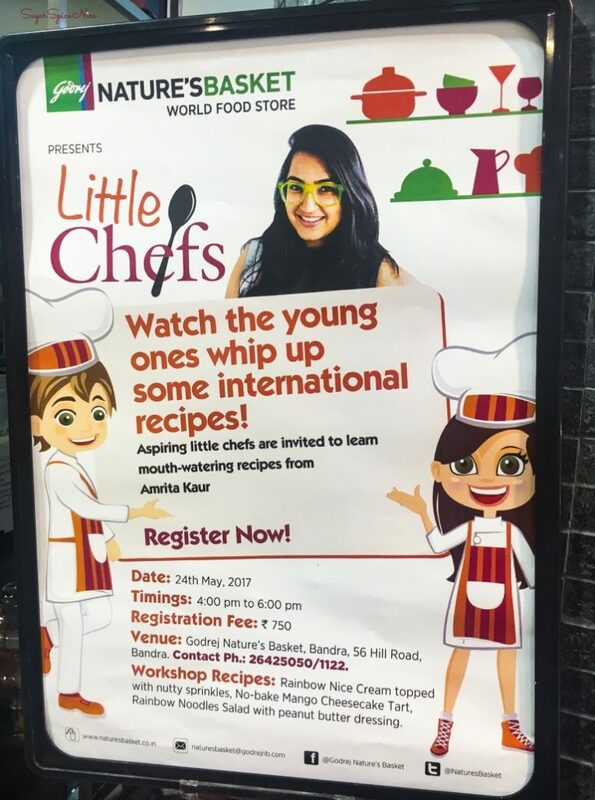 And Amrita Kaur was being her charming self and she totally got all of them involved and interested in learning these recipes. The workshop lasted about 2 hours and each child got to take home their creation. And the happiness on their faces to see the end result of something they created, was so apparent. 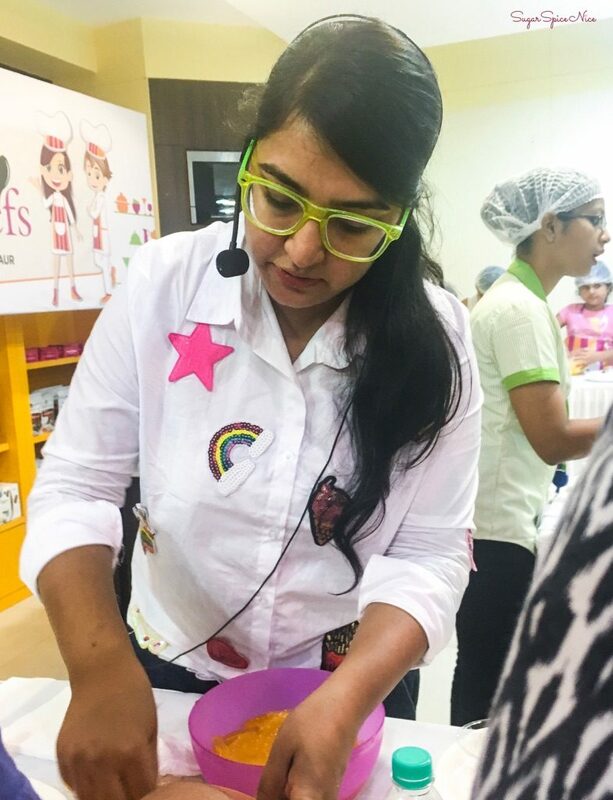 Definitely keep your eye out for these kind of workshops held by Godrej Nature’s Basket. 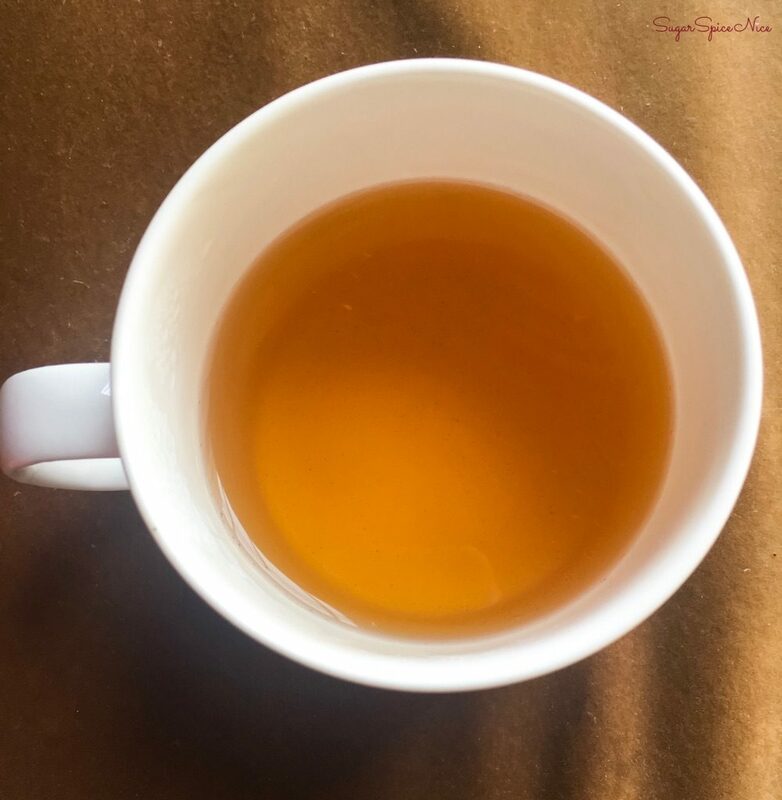 And also check out more of Amrita Kaur on her blog. Godrej Nature’s Basket is your one stop shop for quality groceries, fruits and vegetables. 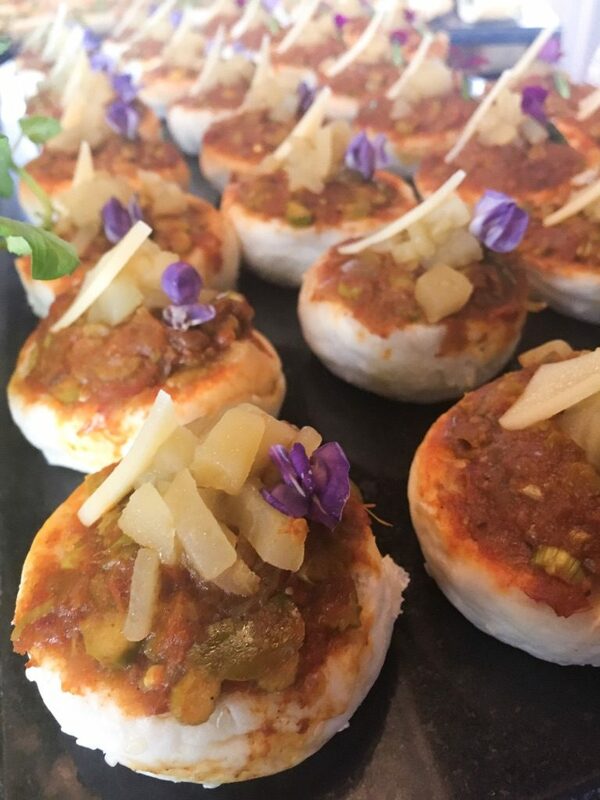 Not only do they provide excellent quality local produce, but you can also find a lot of exotic veggies, gourmet cheese and a whole lot of other items. 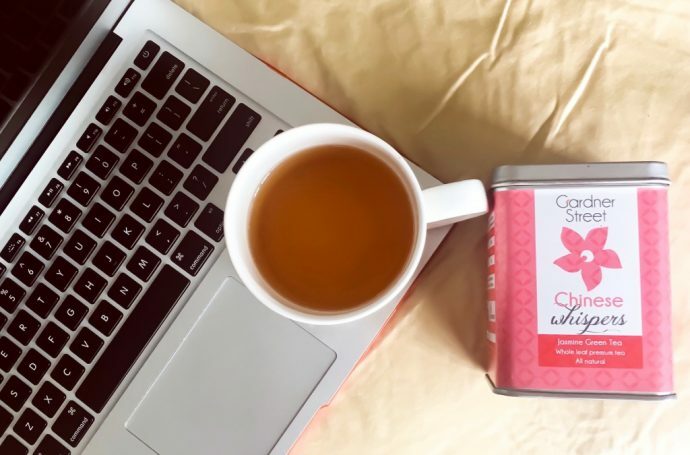 You can try them out by visiting their store or even ordering online. And sometimes, they deliver within 2 hours of ordering. Check them out here. 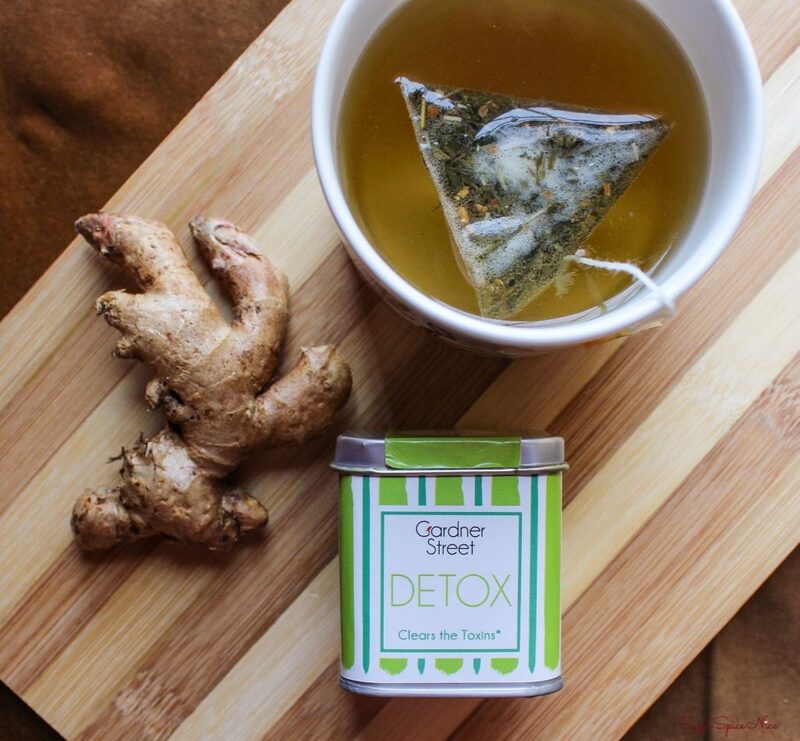 Looking for good Green Tea? Read this! 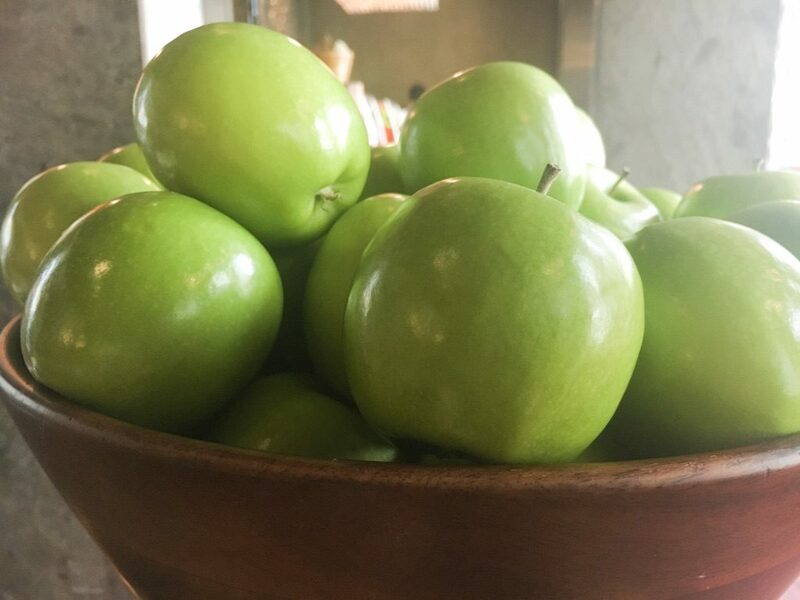 YES – You can have Washington Apples in India! 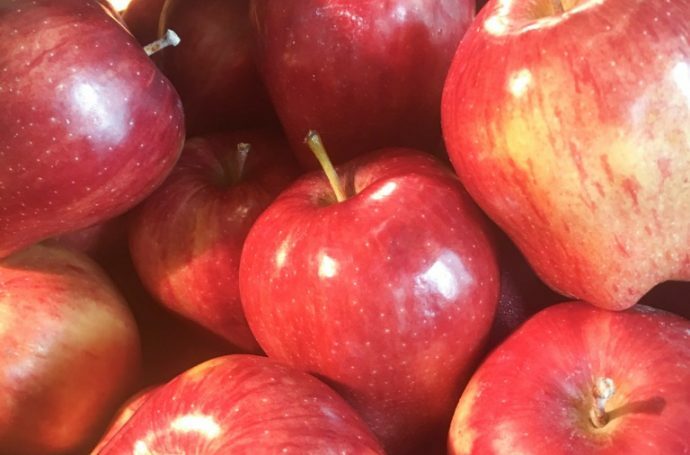 The Washington Apple Commission recently hosted an event talking about the benefits of consuming Washington Apples in India. This event was in association with the FBAI. 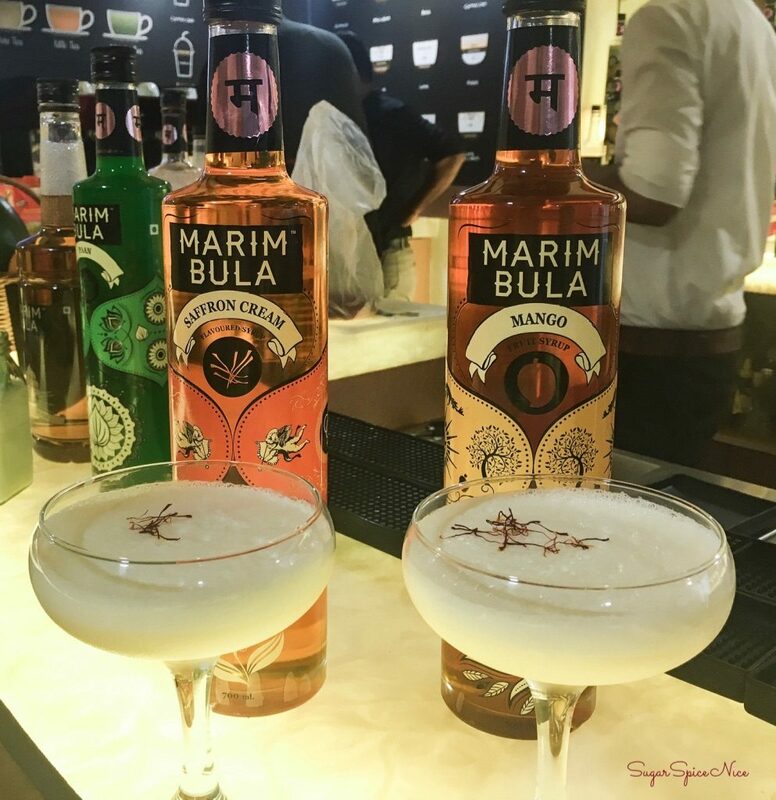 I absolutely love these events hosted by the FBAI, because it’s a good mix of like-minded folks coming together and talking about interesting topics. The event was hosted at the beautiful St.Regis Hotel which does provide a spectacular sunset view of the city. 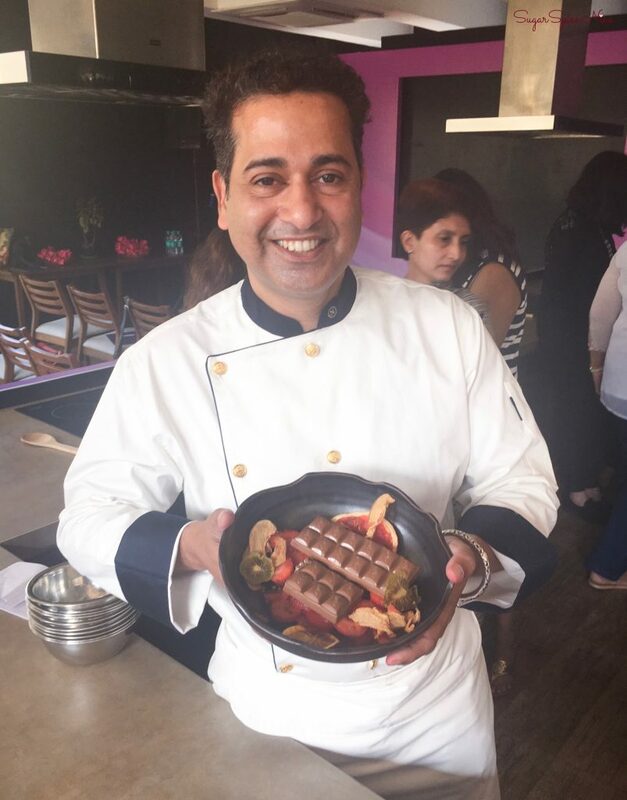 Chef Himanshu Taneja was also present at the event and he demonstrated the versatility of the Washington Apples – you could use it in cooking, baking and so much more. In fact, the spread that they laid out for us at the event, pretty much used the Washington Apple as one of the ingredients. I’m not the biggest fan of apples in general, but Washington Apples have a special place in my heart. I remember eating these on some of my trips to the U.S. and that’s actually where I began to like apples. We received some apples on attending this event and I was totally reminded of the ones I had on my trips. 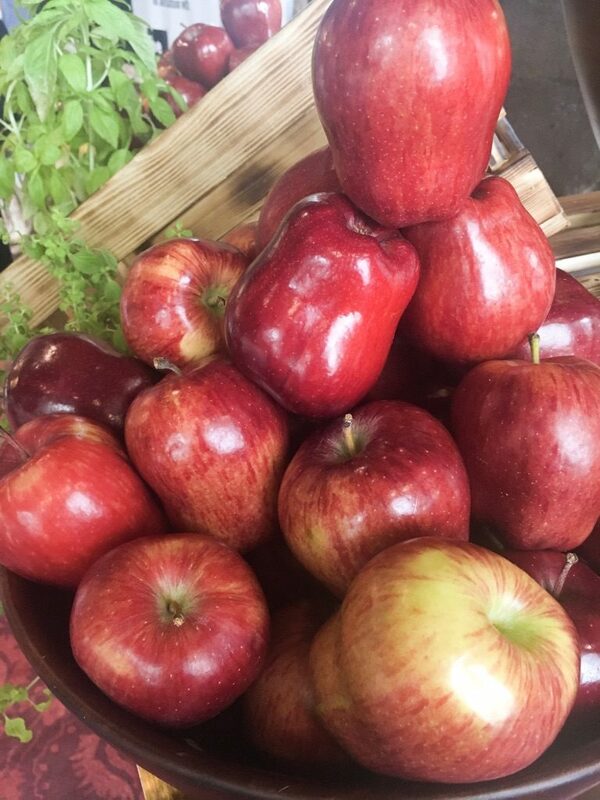 Washington apples are special because they come from Washington, which is known to have the most fertile land for the best available apples. 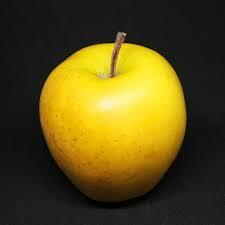 It’s indeed a good thing that we can enjoy these Washington Apples in India as well. 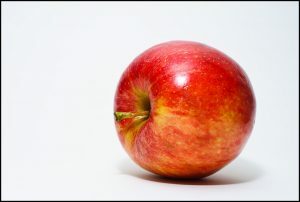 Apples are definitely not my most favorite fruit, but seeing all of the advantages I’m definitely going to try and get some at least a few times a week. Do you love apples? 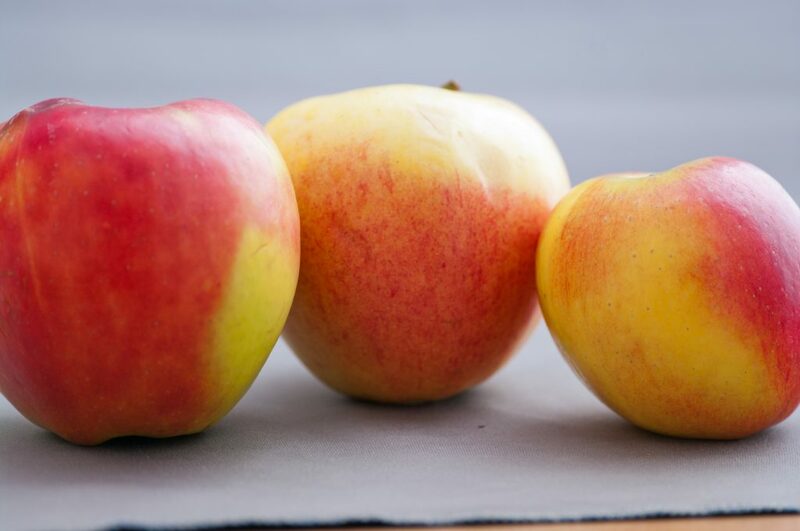 Have you tried Washington Apples in India? Let me know in the comments below! 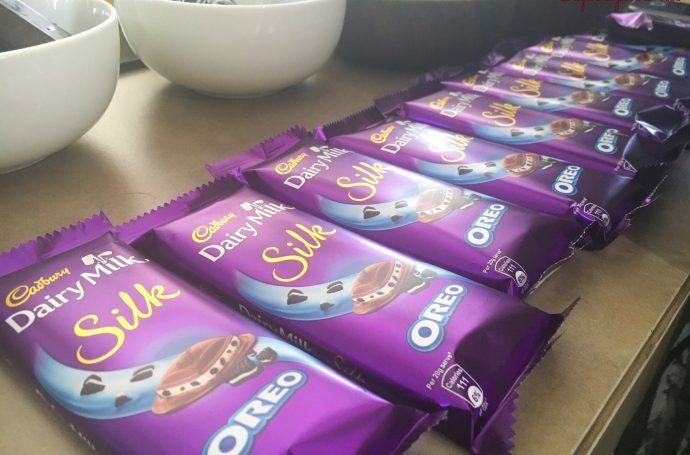 Cadbury Oreo Silk – The Best Silk Yet? 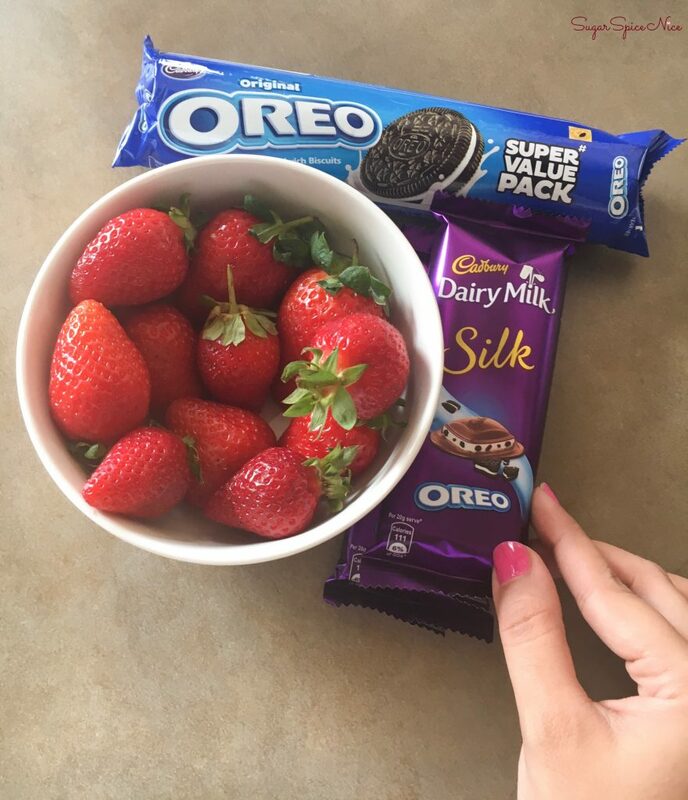 Cadbury Oreo Silk is probably one of the best variants in the Silk range. I just don’t seem to be able to stop eating it! 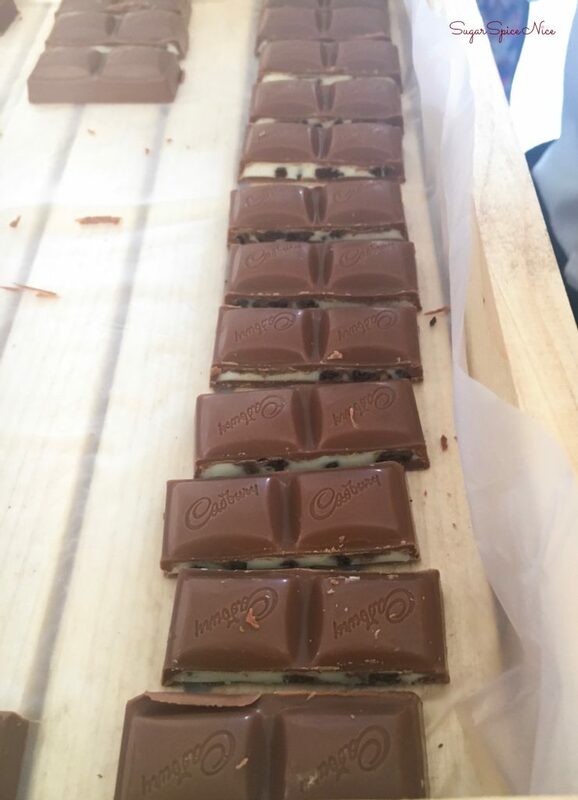 I was invited to the launch of Cadbury Oreo Silk and it was such a fun event. So many foodies and also Chef Michael Swamy. 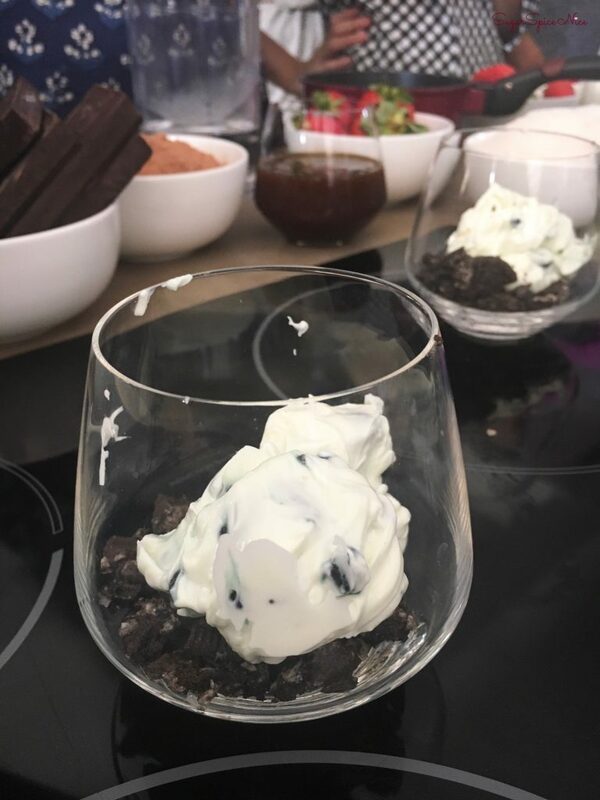 The event included some really interesting ways to use Cadbury Oreo Silk to make other desserts, salads and so much more. 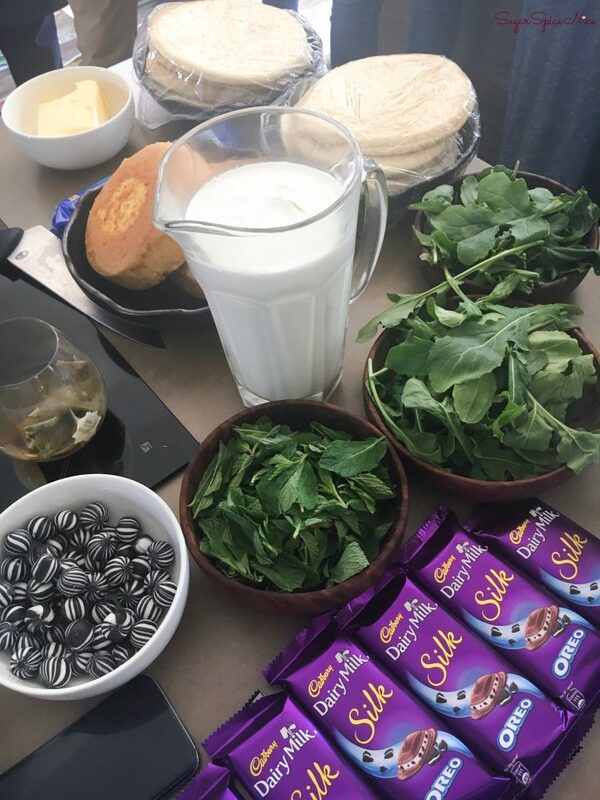 So here you can see the different dishes we learnt to make using the Cadbury Oreo Silk. 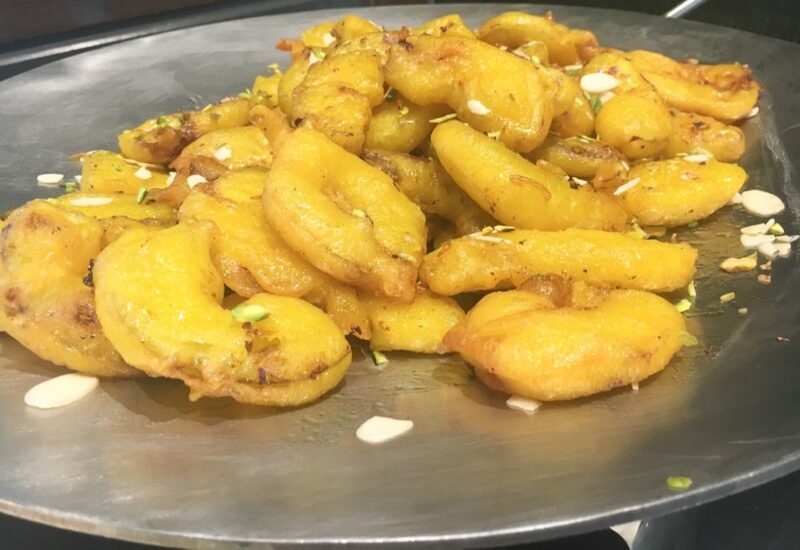 These were mostly prepared by or under the supervision of Chef Michael Swamy. It was indeed a pleasure seeing him work. 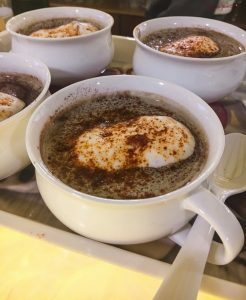 Also, the aroma of chocolate was taking over the whole place so it was indeed difficult for me to keep my concentration on the preparation method alone! 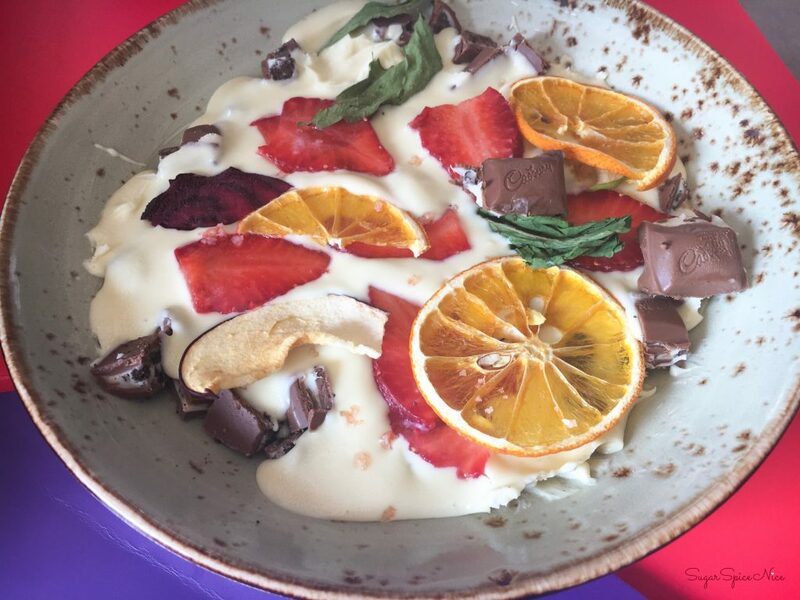 The key takeaway here for me was the versatility of the Cadbury Oreo Silk. 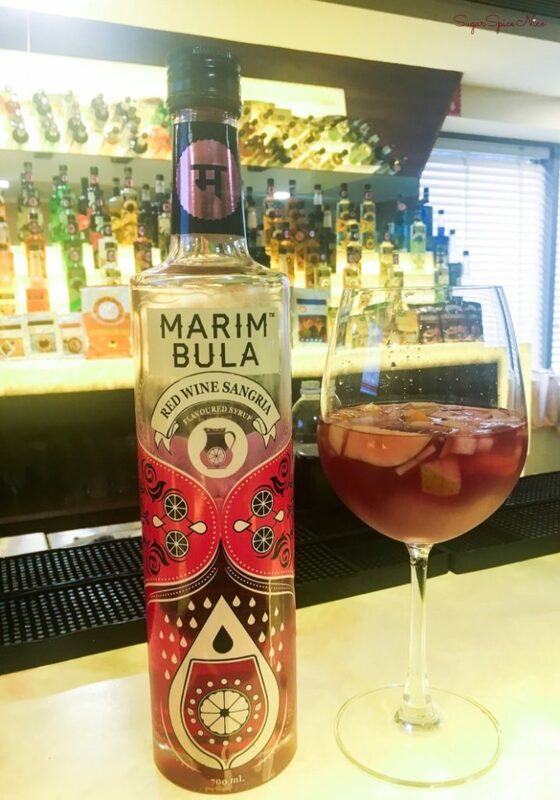 It was something that tasted good with any pairing. We tried it with strawberries, it was a hit. We tried it in a salad, it tasted delicious. 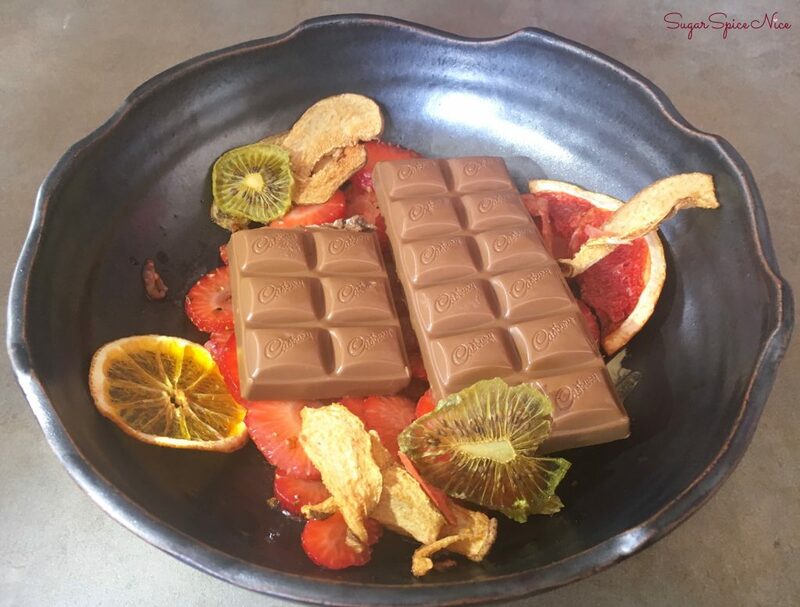 So it’s not just a pure chocolate bar; it’s also something that can be used as an ingredient in more dishes. In terms of taste, I do feel that this is the best Silk variant out there. Mainly because it has Oreo and Chocolate Silk coming together. It’s like the best of everything! There’s a whole lot of crunch and that signature Silk chocolate feel, which is pretty unique. 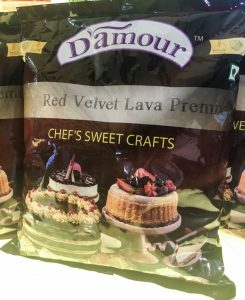 I also like that this doesn’t feel overly sweet – I know we’re talking about Chocolate here but there is definitely a sweet threshold! I strongly urge you to try out the Cadbury Oreo Silk, if you haven’t already. It’s pretty damn delicious. And can be used to add a crunchy edge to any dish! Let me know which is your favorite chocolate in the comments below! I would love to stay in touch. So do hit me up on my social media. Chai and jeera khari is one of my most favorite combination. 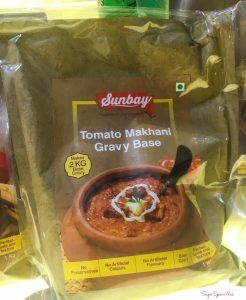 It redefines comfort food! 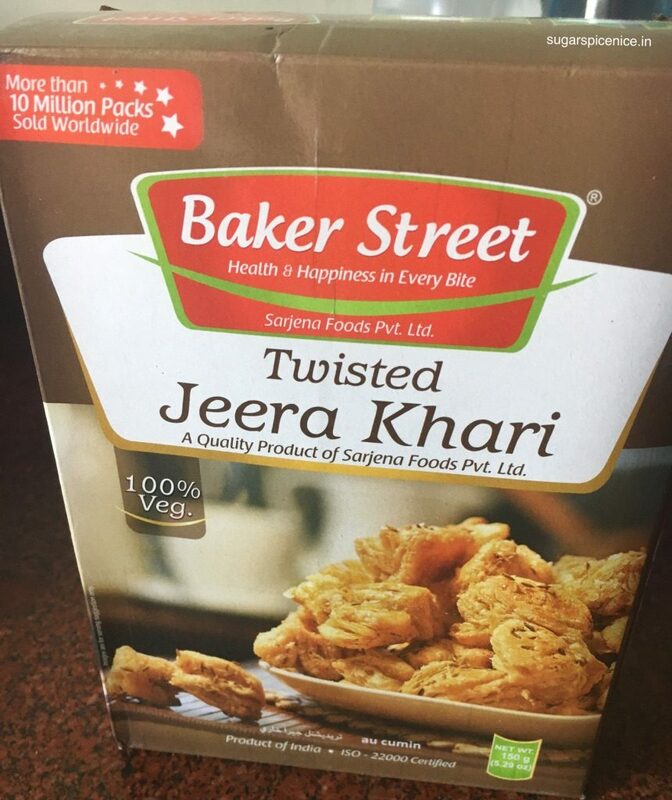 So today I thought of sharing with you my thoughts on Baker Street Twisted Jeera Khari biscuits that I recently got my hands on. 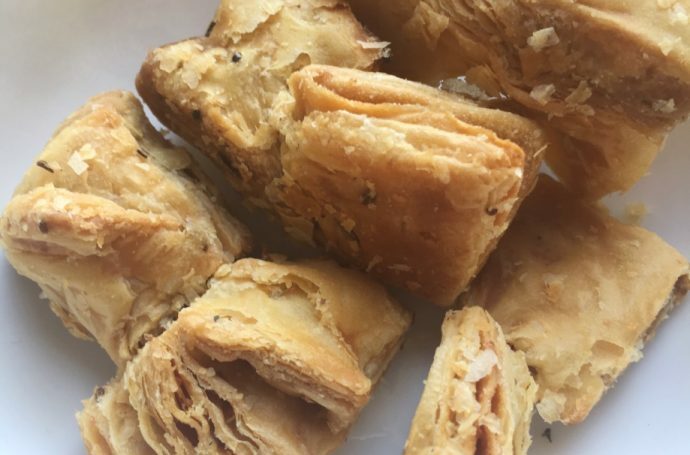 Jeera Khari biscuits are available in various forms in the market. 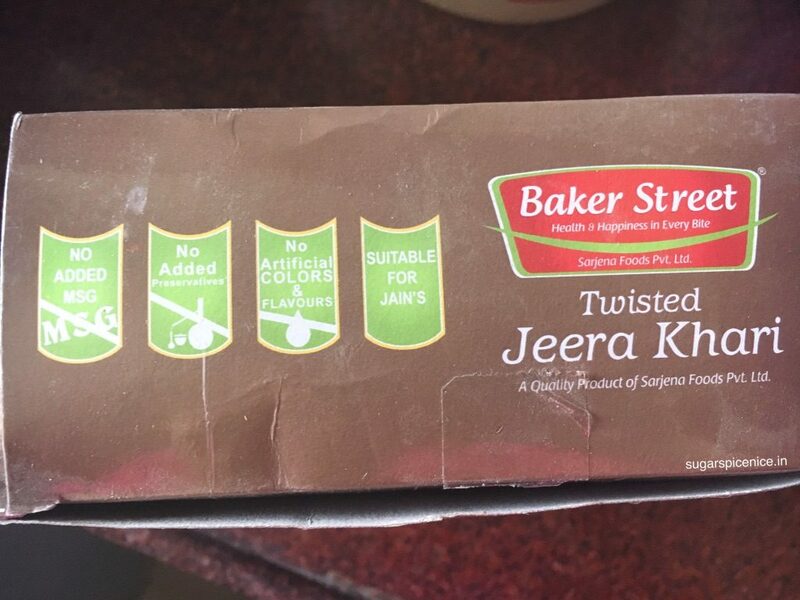 I decided to order the Baker Street Twisted Jeera Khari biscuits because they seemed to claim quality. 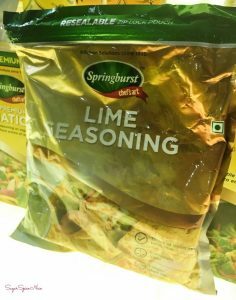 I ordered these from Reliance Fresh Direct. 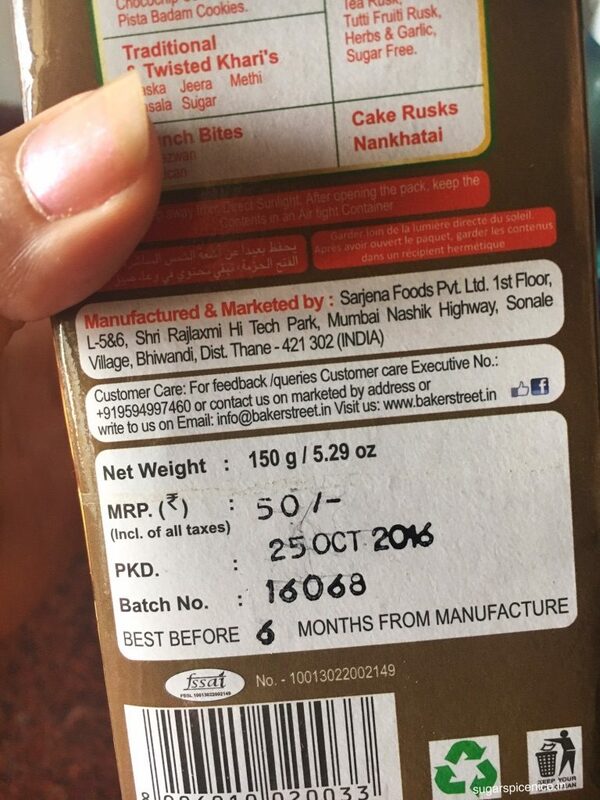 The Baker Street Jeera Khari Biscuits come in this box and have all important details mentioned on all 4 sides. 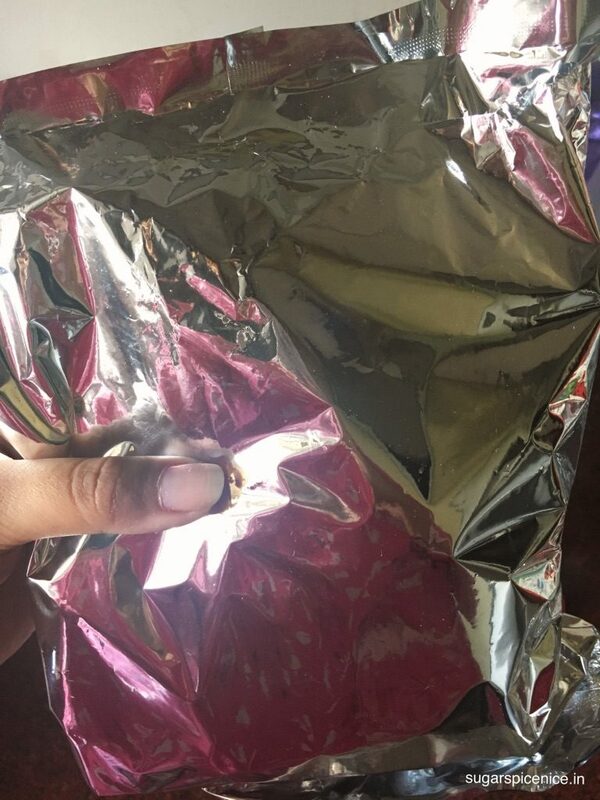 The biscuits are further covered with this foil packing. 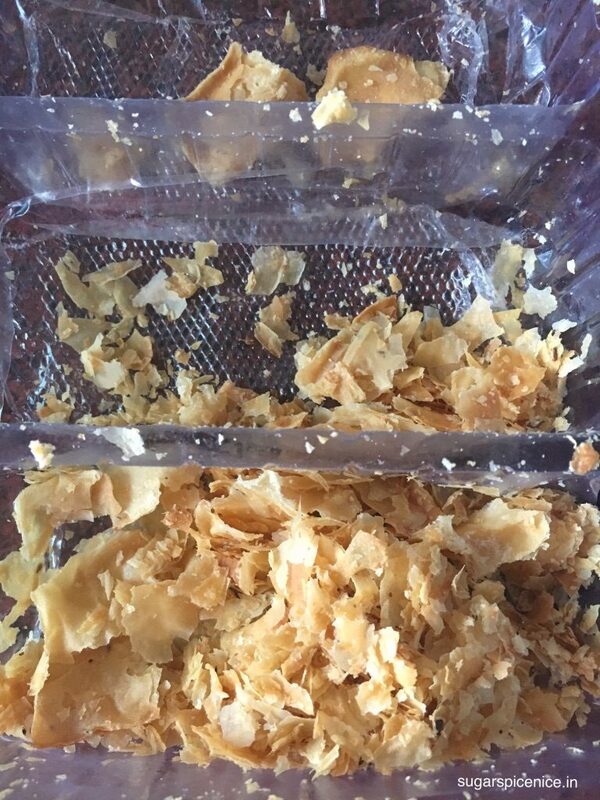 And when you cut open the foil packaging, you find the biscuits in this transparent plastic tray of sorts. For me, this packaging doesn’t quite work. 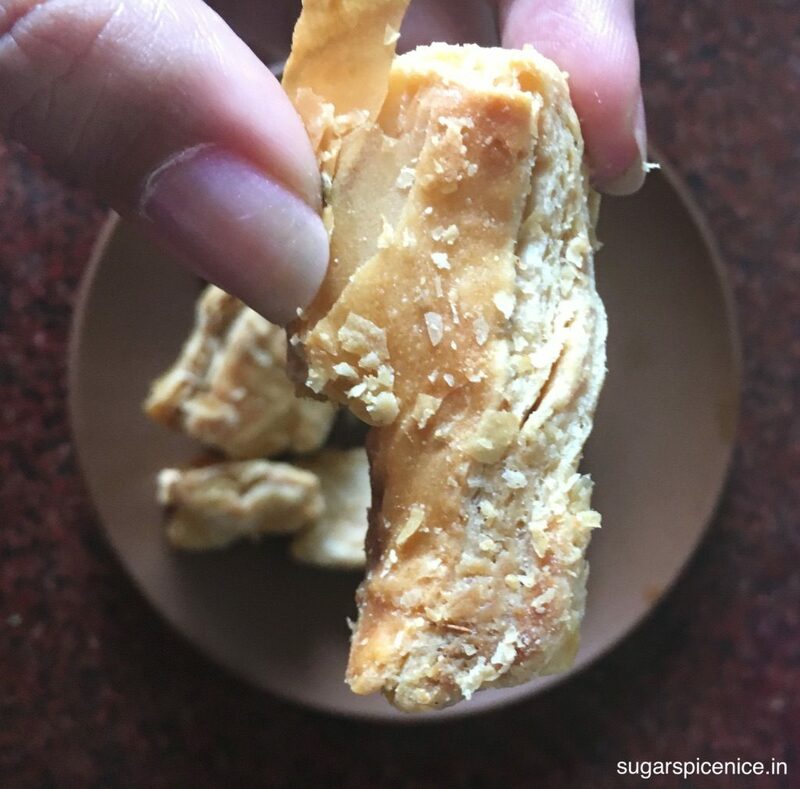 Khari biscuits are quite delicate and can easily break. 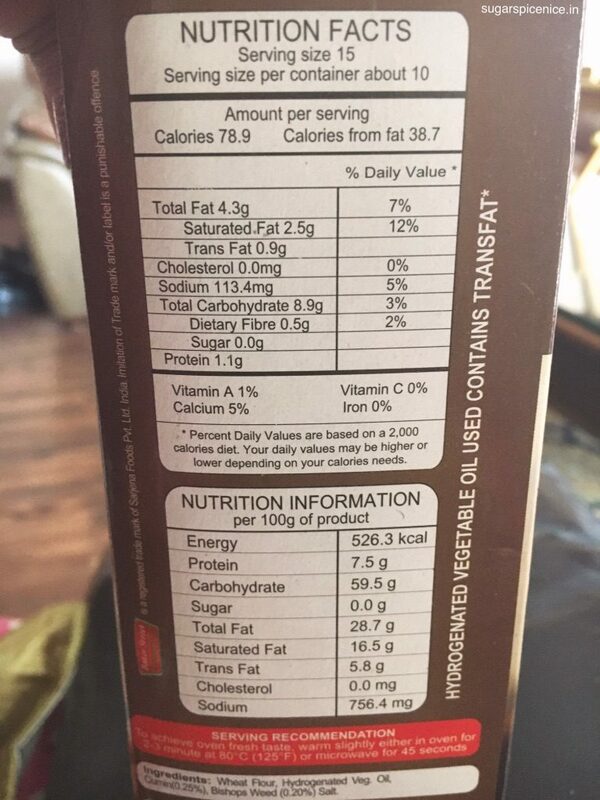 So if the packaging was a bit more solid around the biscuits, may be this would stop them from breaking. And as you can see here, a lot of the biscuits were reduced to broken bits. Wheat flour, Hydrogenated Vegetable Oil, Cumin, Bishops Weed and Salt. Good thing about these is that they don’t have any maida. They also claim to be 100% vegetarian. 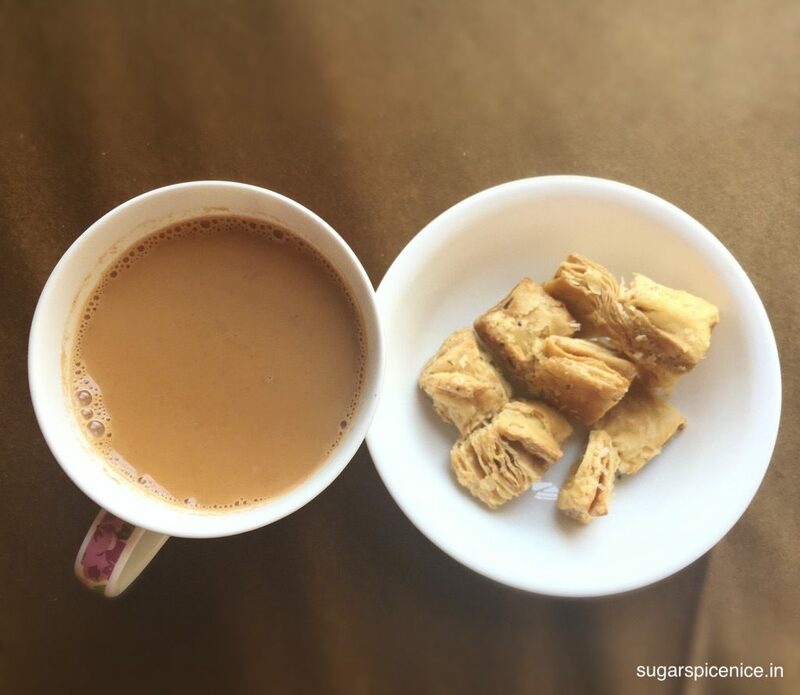 The Baker Street Jeera Khari Biscuits are nice and crispy. 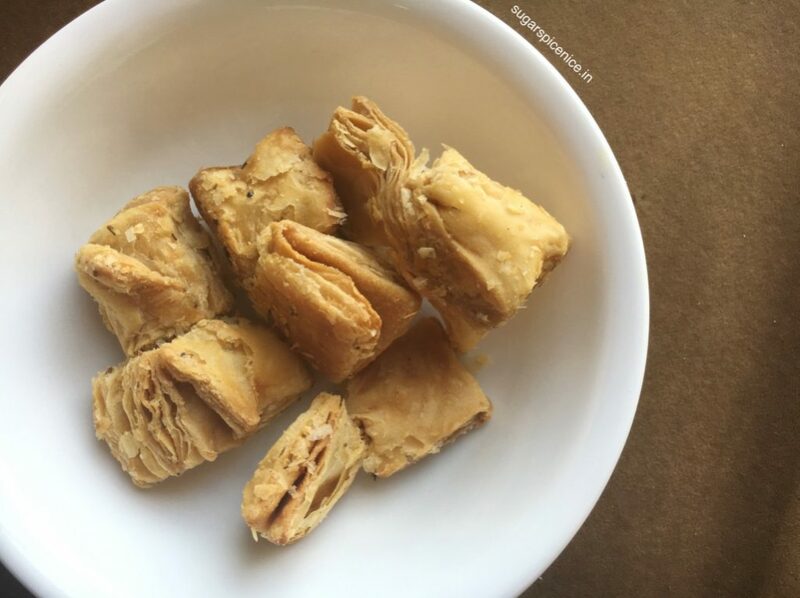 Maida does add a different level of fluffiness and crunch; but these do feel equally fresh and crispy. The jeera adds a subtle cumin flavor. They don’t feel over buttery like a lot of the maida ones do. The twisted shape of the jeera khari biscuits is quite nice. But personally I find the bow ones the cutest! Do I recommend the Baker Street Jeera Khari Biscuits? Yes I do! They are quite delicious. My only problem with them is their packaging. 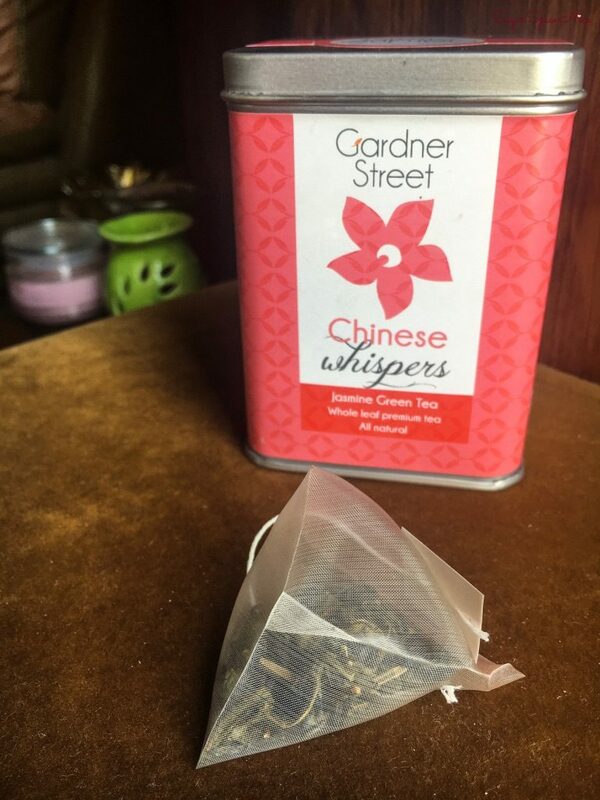 Other than that I am quite happy with the taste. 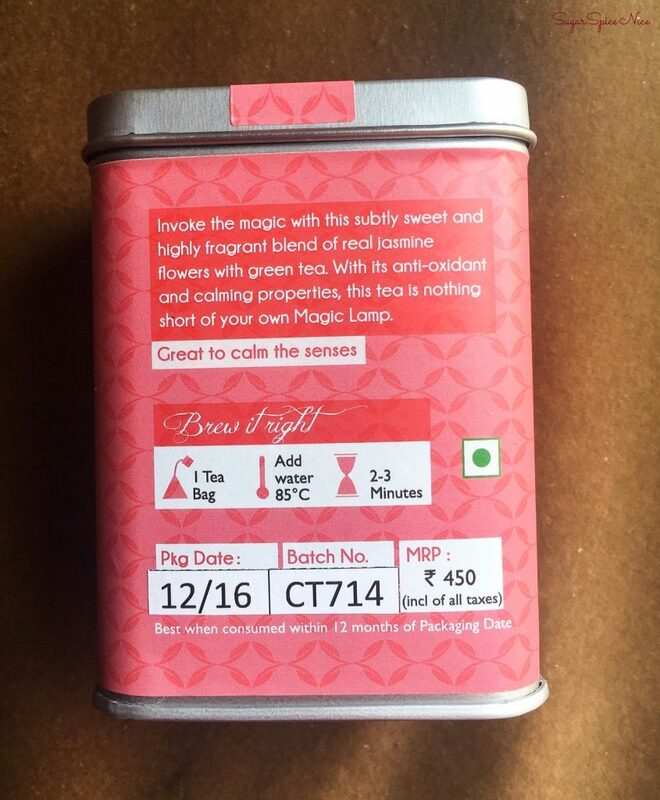 And of course they are best relished with some good adrak chai.